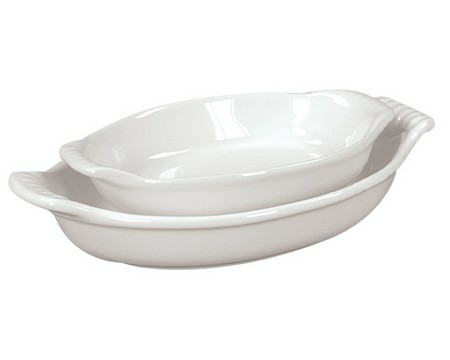 Use this versatile stoneware au gratin dish for fish or vegetables. Made of durable stoneware this dish is freezer, oven and microwave safe. They also look nice on the table for serving. Larger Au Gratin Dish approximately 9.75" x 6.25"